Forums › Services › Achievements › Congratulations to Callie Tiller! This topic contains 0 replies, has 1 voice, and was last updated by TTRM 1 year, 4 months ago. 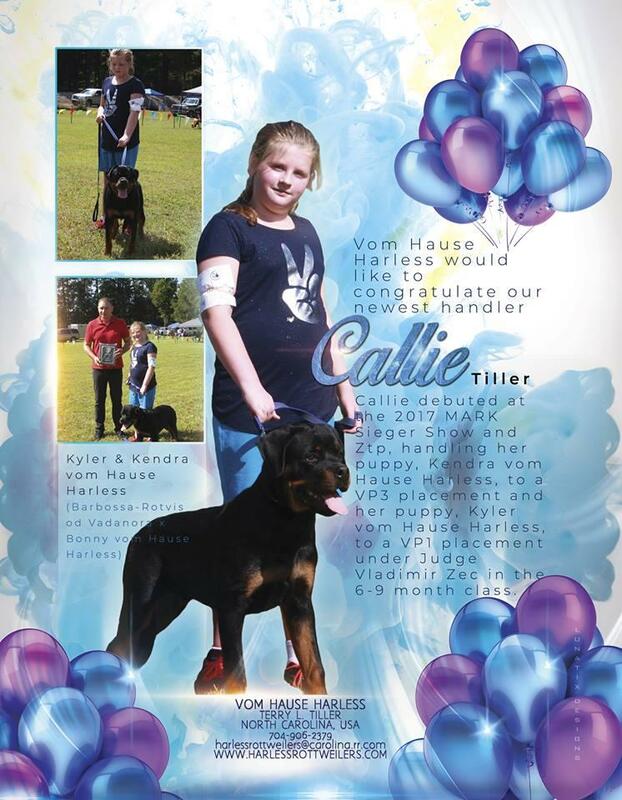 Vom Hause Harless would like to congratulate our newest handler, Callie Tiller. Callie debuted at the 2017 MARK Sieger Show and Ztp, handling her puppy, Kendra vom Hause Harless, to a VP3 placement and her puppy, Kyler vom Hause Harless, to a VP1 placement under Judge Vladimir Zec in the 6-9 month class.